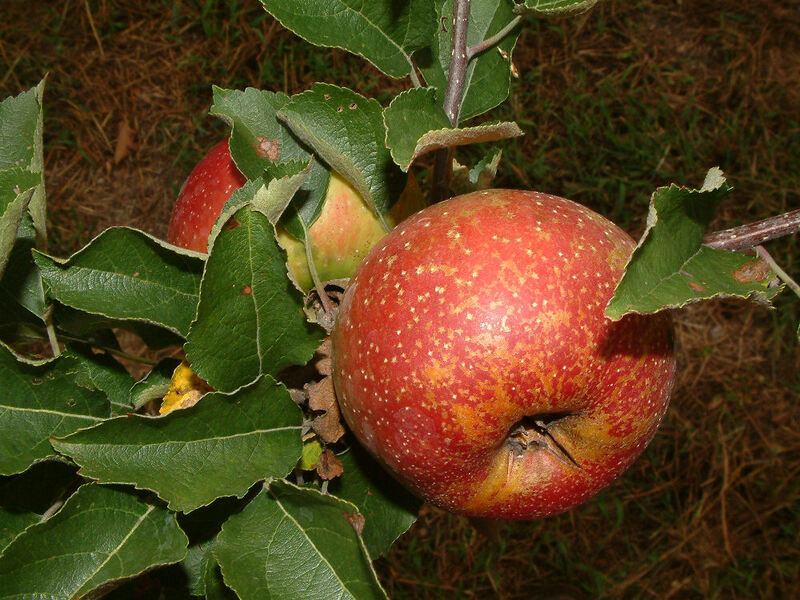 In the early 1800’s, John Oliver of Washington County, Arkansas raised an apple tree on his farm that produced a striking red apple with large, distinctive dots, or lenticels, over the skin’s surface. It became a very popular local variety and was widely grown in the Ozarks of Arkansas. In 1895, Stark Bro’s Nursery sold this apple under the trademarked name, Senator. Valued for its size and high quality, it was especially noted for its long keeping abilities. Fruit size is medium to large with thick, smooth, glossy yellow skin overlaid with rich-red and streaks of darker red. The surface is punctuated with large, conspicuous, light colored dots. The yellowish flesh is fine-grained and juicy and often stained with red. Ripens October to November and is an excellent keeper.